The views of the dam and mountains are unrivalled. This singularly distinctive mansion epitomises the perfect marriage of architectural magnificence and offers understated opulence . A unique lifestyle property with superior features and finishes. Impressive elegance and effortless luxury combine to create this sublime haven. On offer are four glamorous reception rooms and a gentleman's study. Eight bedrooms, six bathrooms. 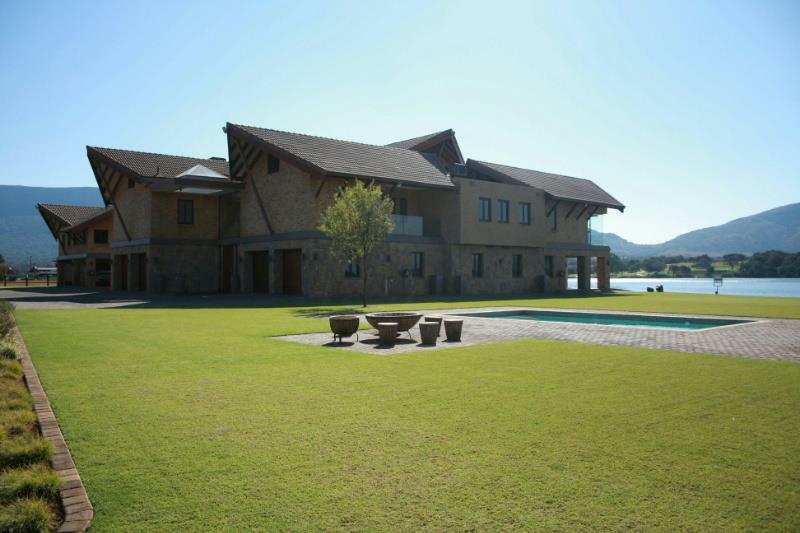 Four luxurious bedrooms with 4 en-suite designer bathrooms. An exquisite gourmet kitchen with every desirable amenity. The extended balcony overlooking priceless views of Hartbeespoortdam and Magaliesberg Mountains provide for premier entertainment. Superb extra's: Wine cellar, indoor & outdoor swimming pools, 5 star security, extensive guest cottages, 4 car garage, 2 slipway's for boat launching, central air-conditioning, intelligent home system, home gym & 29 camera security system.